The home offers 5 double bedrooms and 3 bathrooms, a cot and sleeper couch on the landing are also available for younger guests. All bedrooms have new, quality beds. The linen is 100% cotton, and the luxurious duvets and pillows are hypo-allergenic with a luxurious feather down feel. Each bedroom has ample storage and wardrobe space. Please view our floor plan to view the location of the bedrooms. he house offers various living areas: the main lounge, a second smaller family TV /play room, and a study. The TV/play room has direct access to the back garden with jungle gym and 10ft trampoline for the kids. DVD player, video machine, Satellite TV(with PVR decoder), WiFi and a good collection of holiday reads ensure that everyone is entertained. A separate study provides a quiet place to work if you need to stay on top of those deadlines. Under floor heating on the ground level keeps your toes toasty and warm in winter. There are also heaters upstairs. 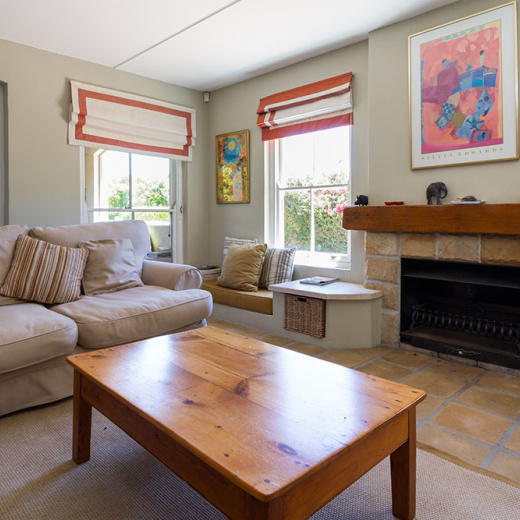 The Provencal style kitchen is fully equipped with modern new appliances including; gas stove/electric oven/extractor fan, dishwasher, washing machine, tumble dryer, fridge/freezer, kettle, toaster, microwave and coffee machine. The kitchen has French doors leading onto the covered veranda. 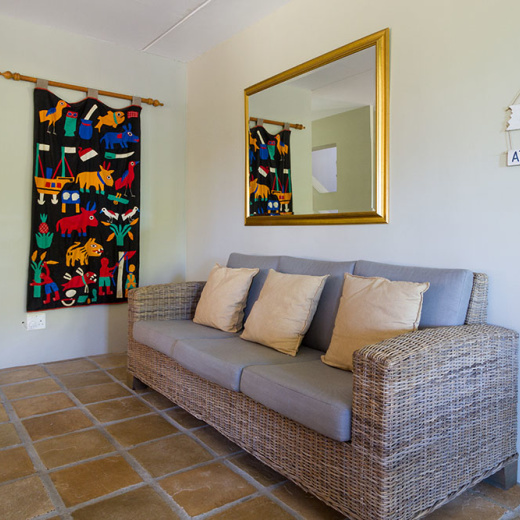 The villa has various entertainment areas for a barbeque, quiet read of a good book or for watching the sun dip into the sea at the end of the day with loved ones and a fine glass of local wine. 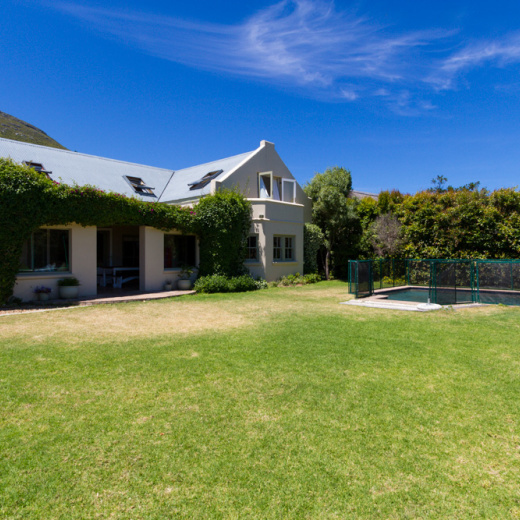 The garden is well established with a generous lawn and the scent of lavender and fynbos in the air. A children’s’ outdoor play area and trampoline to the rear of the house ensures the whole family will be building the memories of a lifetime.